Call me a geek. Call me a dork. I'm okay with that. Today, the Weekend Section of the Washington Post made my day. 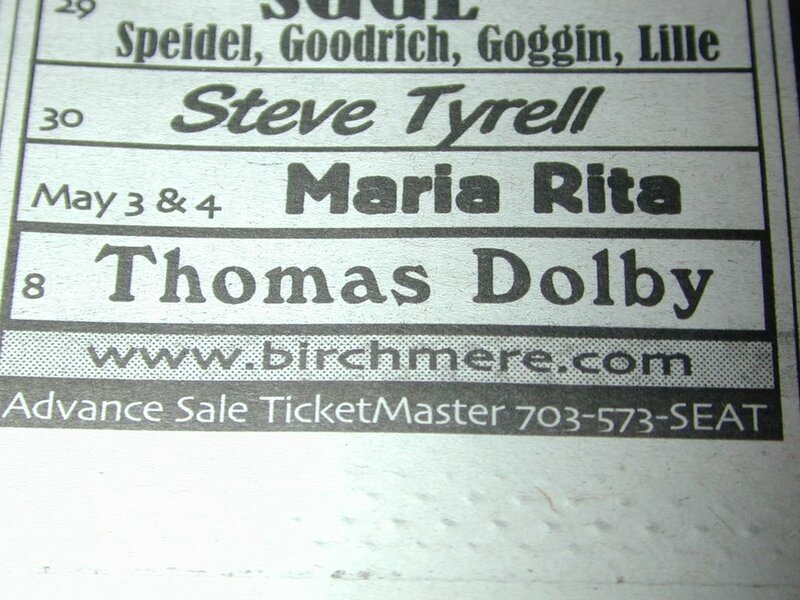 You see, as long as I've lived here, I've imagined what it would be like to open up the Weekend Section, flip to the one page I always check - the upcoming gigs at 9:30 and the Birchmere - and see one name there. The name that would just make me smile from ear to ear. Never thought it would really happen. But "never" is an awfully long time, eh? It's not a smoky little club in San Francisco, Thomas, but it'll do just fine. Can't wait to hear the music again. Fabbbbo-lus! That makes my day, too. 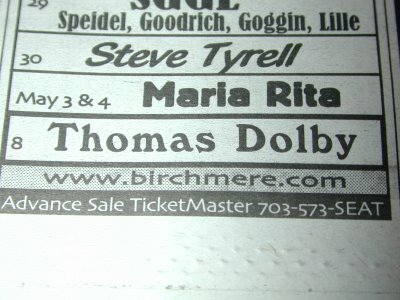 :-) I *so* wish I could go with you to that show. The venue sounds awesome. You see if you wait long enough -- they come to you.